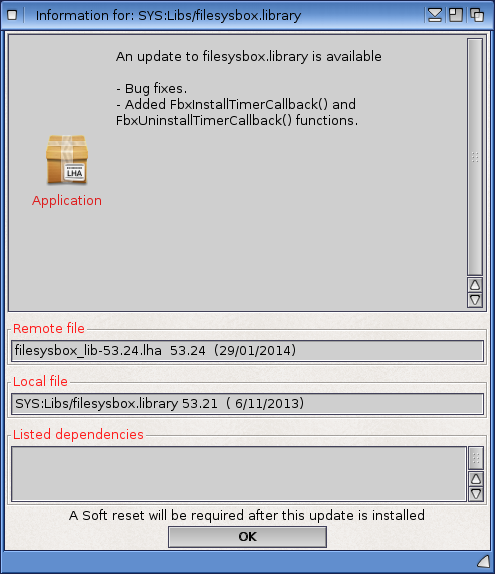 Today I wanted to take a look at the recently released Filesysbox NTFS support on AmigaOS4.1 on the AmigaOne X1000, available via AmiUpdate. I plan to install a new 1TB SATA hard disk into the X1000, prepare the new NTFS partitions and fix up my AmigaOS system partition sizes at the same time. 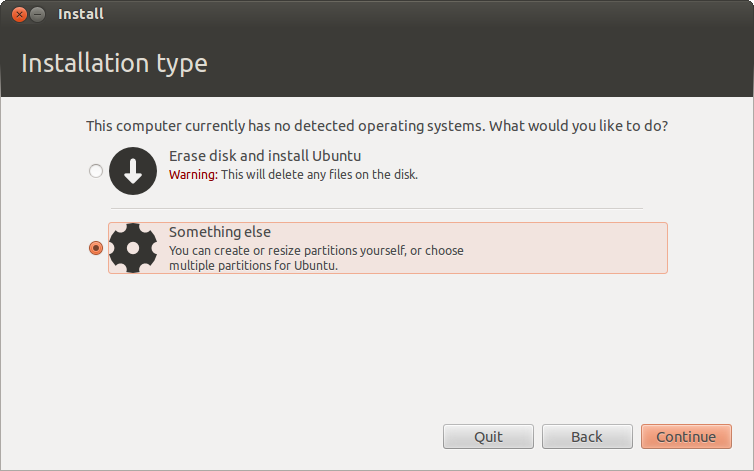 The point of using NTFS partitions for me is that they can be read from Ubuntu and AmigaOS4, meaning that instead of having all my pictures, music and mods duplicated on two different disks (and having to update both everytime they change), I can use one partition both systems can access! In Part 1, I will look at the AmigaOS4 side including prepping the NTFS partitions in AmigaOS4. Next in Part 2, I will look at the swap over of the AmigaOS4 disks and the Ubuntu side accessing the new NTFS disk partitions. One problem I hit quickly is there was not enough SATA power connections in the X1000 for another SATA Hard Disk. And the top view. I found it necessary to label the disks (near the end that is closest to the edge of the case) with what is on them since both the Ubuntu and AmigaOS4 1TB disks I have recently installed are the same brand, size and model of hard disk. Now you can see why I needed to note down the serial number of the new hard disk - the Ubuntu hard disk is the same model, and because it is not readable by AmigaOS4, both have the same "not installed" status. Now, the important part here is that you cannot have the same DEVICE names on different drives at the same time in AmigaOS4, so the new partitions I create on the new hard disk need to have different names. 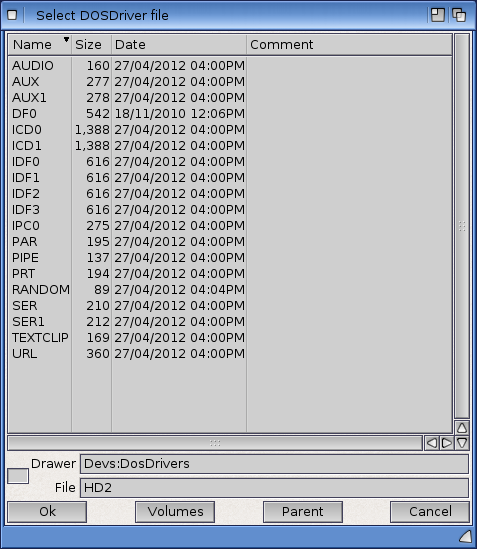 This is so I can copy all the files to the new hard disk from the current one using the current AmigaOS4 installation. 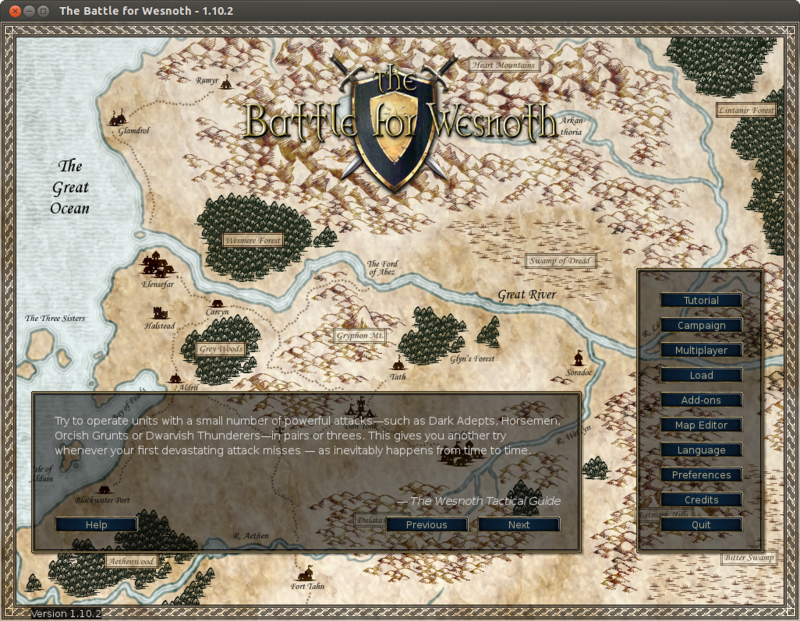 So I elected to name the new partitions BHD0, HD0, HD1, HD2, HD3. 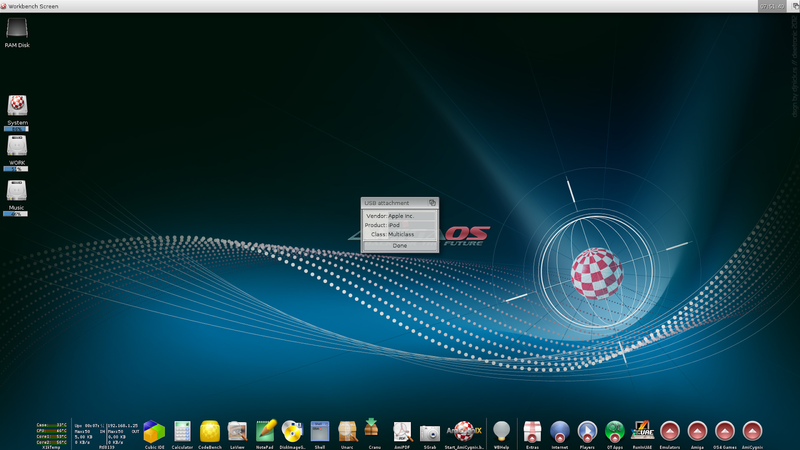 Next, I created the new HD0 partition which will be the new AmigaOS4.1.6 system partition. 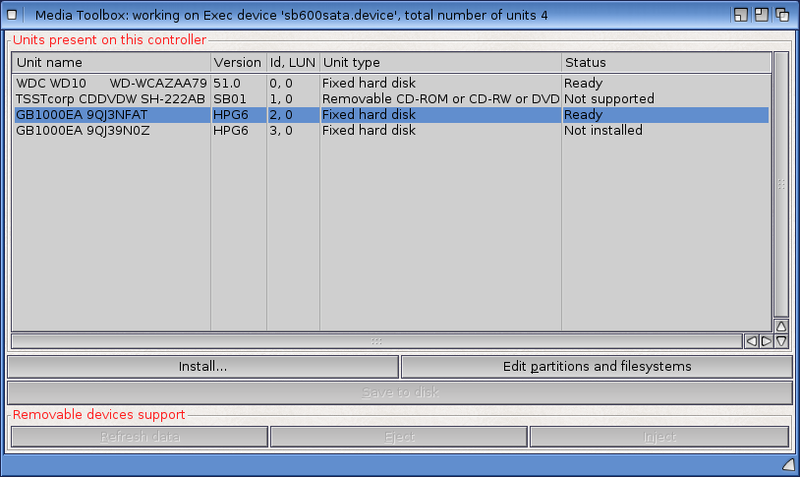 On the current hard disk this partition is only 2GB and formatted SFS, and space is really becoming an issue of late. The limit of SFS partitions is 4GB, and SFS2 is over 1TB. Both SFS and SFS2 partitions can be used as bootable partitions for AmigaOS4. NTFS cannot be used as bootable. I then used the same settings (SFS2, 10GB, blocksize 512, automount) to setup HD1, which I intend to use to backup the AmigaOS4 system partition. I didn't enable bootable for this partition since it is a backup only. 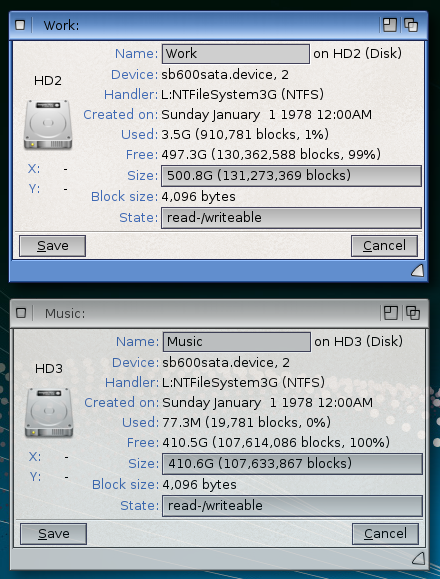 For HD2 and HD3, I intend to format them as NTFS. This process was a bit tricky so I want to cover how to do this in case it helps you out. You will see above that the Identifier section is no longer greyed out, and shows Identifier 444F5303 -> DOS\03. 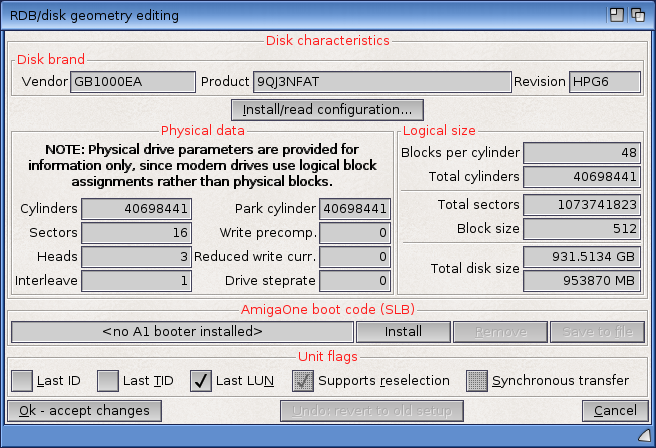 Note that the NTFS partitions need Automount unchecked. I did this but didn't update the screenshot to reflect it sorry (I realised much later!). AmigaOS4 cannot automount NTFS partitions - additional work is needed to mount them using mountlists - which I will cover shortly. After the reboot we need to setup the NTFS mount lists, as the NTFS volumes are not mounted automatically in AmigaOS4. To do this, run Media Toolbox again, select sb600sata.device, then select the new Hard disk. 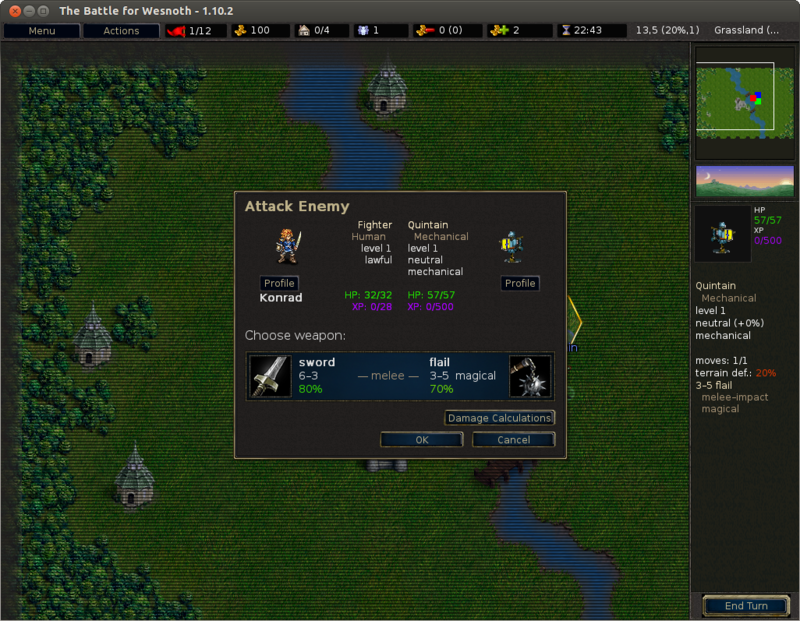 Then right click on HD2, select Profiles/Templates > Save RDB as Mountlist option. As this point I have to sincerely thank Amigaworld.net forum member Sundown for pointing out some errors I initially did in this file. It was causing me some frustration! After this another reboot is needed. 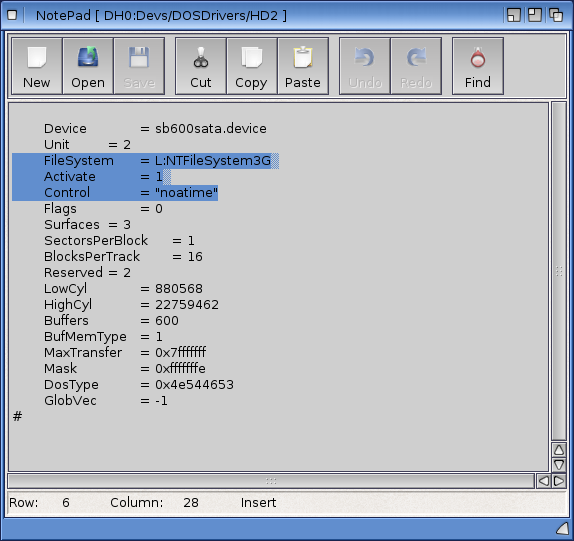 This will then get AmigaOS4 to mount the NTFS partitions using the new driver. 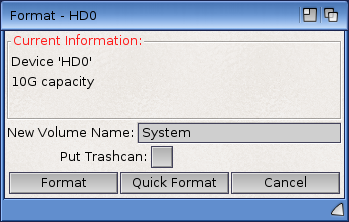 I then Formatted HD0 and HD1 as System: and OSBackup: respectively (using Right click title bar > Icons > Format disk... and unchecking the Put Trashcan option as it is not needed. When completed, I can show the Icon Information on each of the two new NTFS volumes, showing the NTFS Filesystem is being used for these - success! 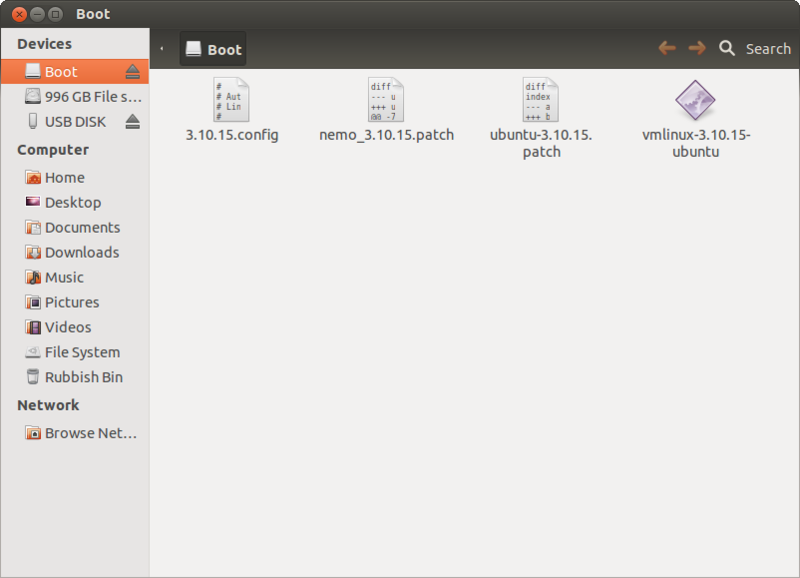 I can then boot Ubuntu to check the other side to make sure I can access these new partitions from the other side. Since this copy is happening right now and will have to be left overnight to finish, I will cover the swap over of the AmigaOS disks and Ubuntu accessing the NTFS partitions another day in Part 2. 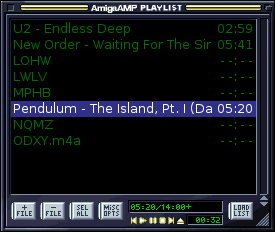 One of things I was curious about in recent times is whether you could connect a current generation iPod Nano to the AmigaOne X1000 to copy songs from and to it - and yes, it can. There is of course some work to do before this will work though - how much depends on whether you use your iPod on a Mac or PC, and whether it is enabled for disk use or not. I then browsed through the iPod folders to find the music files, strangely named within folders in no particular order. I then copied an mp3 from the X1000 into one the folders on the iPod and then disconnected the iPod from the X1000. When I browsed the music on the iPod, I found the file I copied across and it played on the iPod Nano with no problem! Happy days! I think there is probably no way to create playlists via the X1000, which is unfortunate but then iPods are setup to do this with iTunes exclusively...maybe someone out there knows how to do this! 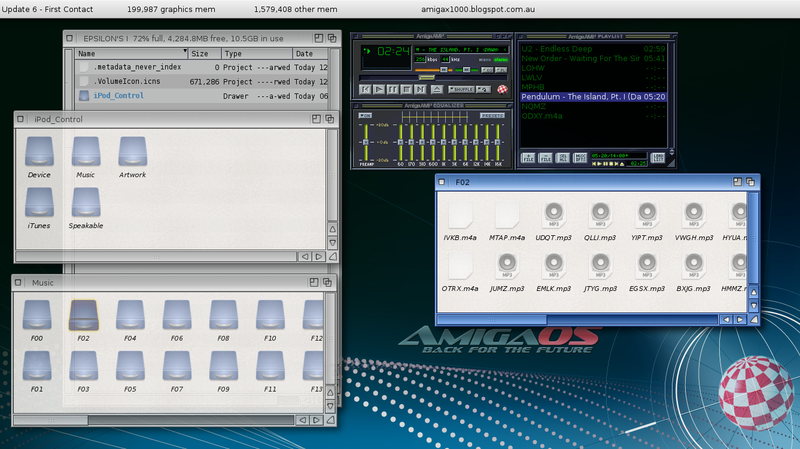 Today I am continuing my look at Ubuntu Remix released by A-Eon for the AmigaOne X1000, in this part 2 I am focusing on the installation of Ubuntu onto the X1000. If you missed Part 1 of my coverage of running the Ubuntu Remix Live DVD, you can read it here. 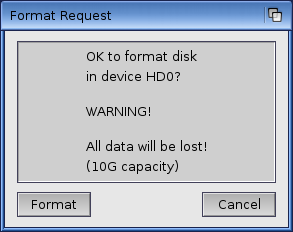 Before you install Ubuntu Remix onto your X1000, it is important to prepare a CF card and (in my case) a separate HD to run Ubuntu. Your CFE BIOS also needs to be updated if you are one of the "First Contact" X1000 owners who has never updated the CFE since purchase. Mine has already been updated previously - A-Eon has a full guide on how to do this process on their website for registered X1000 owners to download. The CF Card preparation for linux was not covered in the install guide for the Ubuntu Remix, which was annoying as it is an essential part of the installation process. I have covered this part in some detail here to help other people who may encounter the same issue. A-Eon has made available the Ubuntu Linux kernel zip files on their website, which you need to have access to as a user name and password is needed to download the relevant files - I organised this as part of the purchase of my X1000 in 2012. 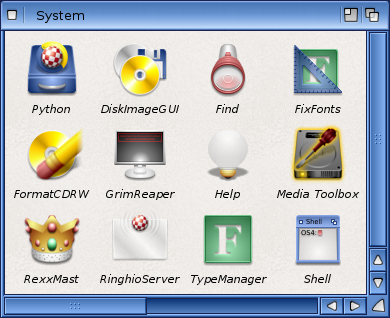 Other linux distributions tailored for the X1000 (Mint PPC, Fedora, Debian) are also available to download from this website (click to expand). Being the cautious type I download the Stable 3.10.15.1 Linux kernel zip file for the CF card. 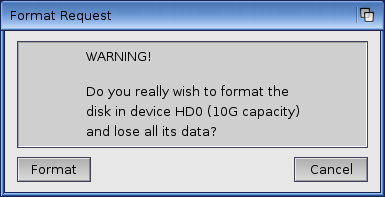 If you have a CF card reader on another computer you can extract the contents to the CF Card (as long as it is formatted as FAT) and you will be ready. In my case, I didn't have a CF card reader on another computer - all my other computers are SD Card readers only, so I had to use the X1000 to do it. To make things more fun the CF Card I have bought is 8GB, rather than 4GB (the maximum size for a FAT partition). So it was necessary to delete the existing FAT32 8GB partition pre-formatted on the CF card and create a new 4GB FAT partition on it before I could copy the files to it. The bad news is that the CF card cannot be read from AmigaOS4 on the X1000, but the good news is it can be reached from booting the X1000 from the Ubuntu Remix Live DVD. 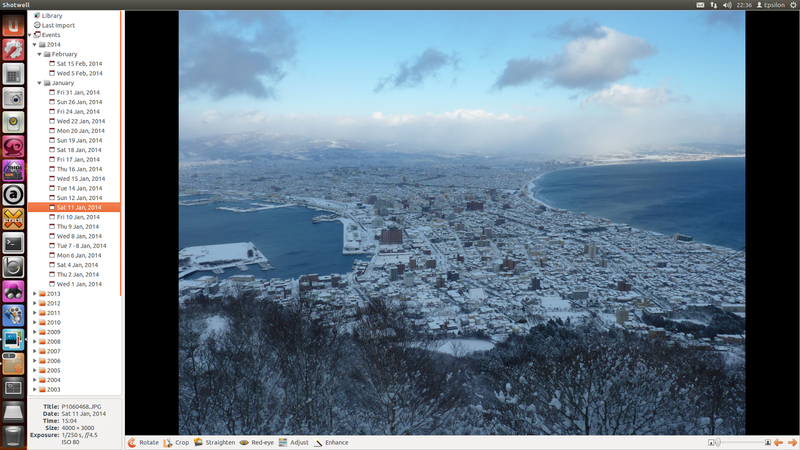 You can run the GParted utility in the Live DVD Ubuntu Remix environment to then prepare the CF Card. 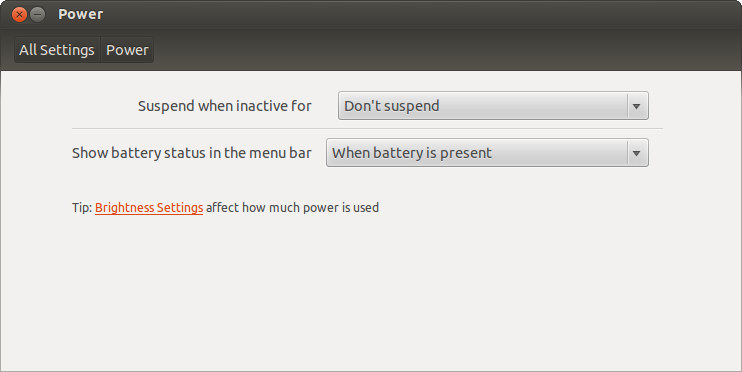 To find this utility, click on the Ubuntu icon in the top left of the dock, and in the search field type in GPart and it should come up - just click to run it. 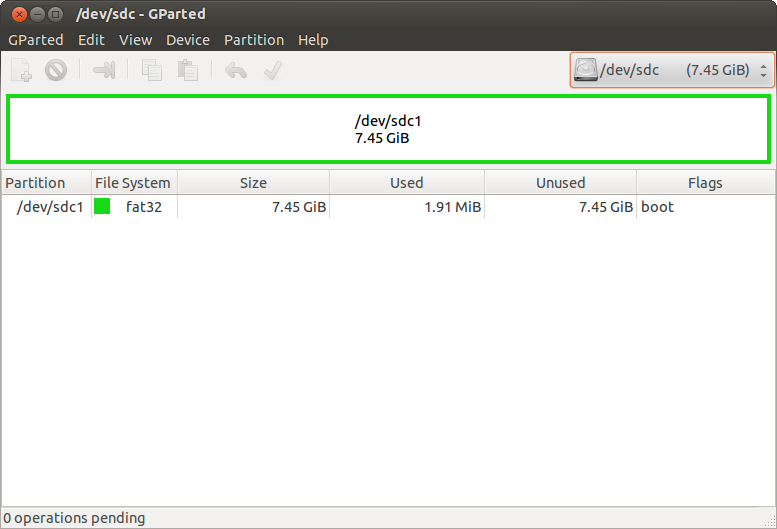 As mentioned I needed to delete the 8GB partition as the CFE can only read FAT formatted CF Cards. This restriction means the CF Card must have a 4GB maximum partition, and 4 GB of wasted space! Right click on the /dev/sdc1 partition to delete the CF Card partition - your CF card may be located on a different device location, so please make sure you have the correct partition before deleting it! Now close GParted, as now we need to download and copy the linux kernel files to the CF Card before starting the Ubuntu installation. If you don't do this step, you will not be able to boot your new Linux after the installation is completed. The Installation guide from A-Eon explains the remaining steps very well here (including partitioning), with screenshots too, so I don't need to cover that much of the initial install here. Once the Installation is completed, you will be prompted to reboot at this time, with the DVD ejected prior to rebooting of the X1000. 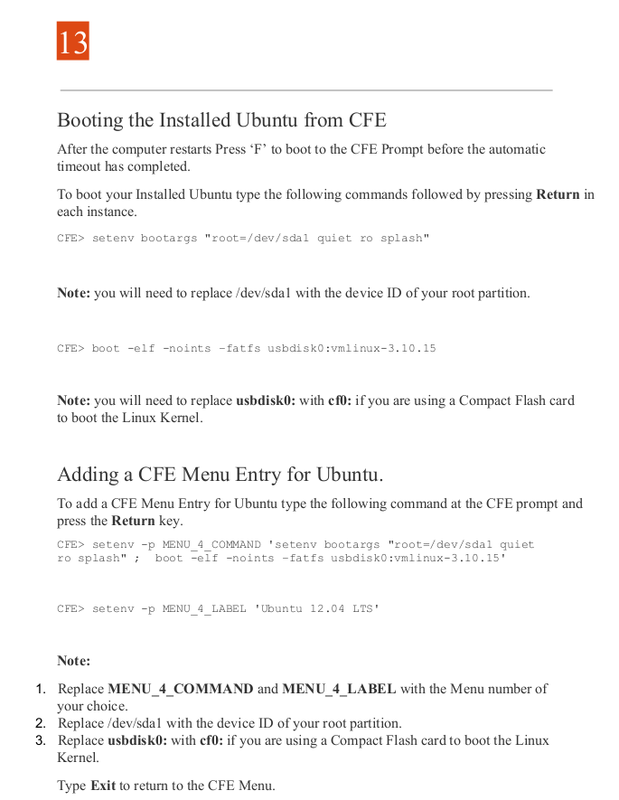 It is important to press F to access the CFE on the system reboot, so we can setup the new boot menu for Ubuntu Linux. I checked that Ubuntu booted by manually booting Linux from the CFE (replacing usbdisk0 with cf0 and vmlinux-3.10.15 with vmlinux-3.10.15-ubuntu as per the extracted file put on cf0 earlier. Of course I was keen to install some other interesting software on the new X1000 Ubuntu install, so I headed to the Ubuntu Software Centre icon in the Dock to take a look at what is available to install. 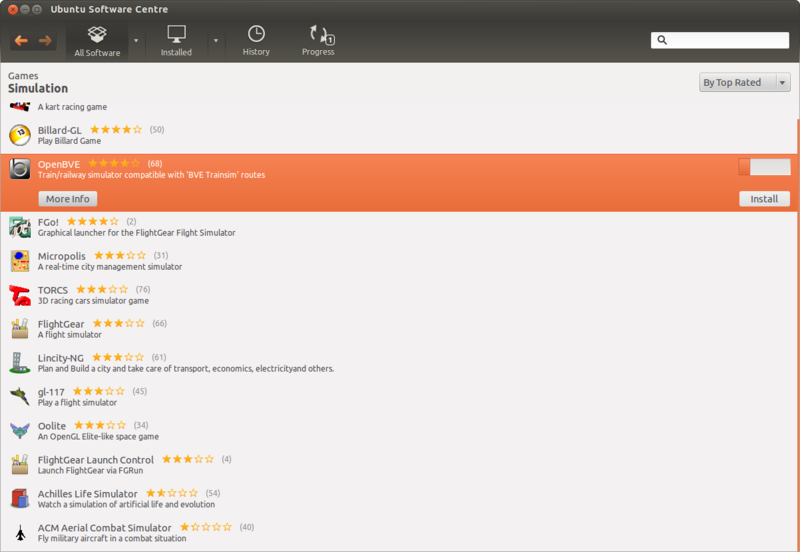 As with the Apple AppStore or Google Play Store, the Ubuntu Software Centre makes installing software in Ubuntu very simple, click to Install to install a program - click Remove to uninstall it. 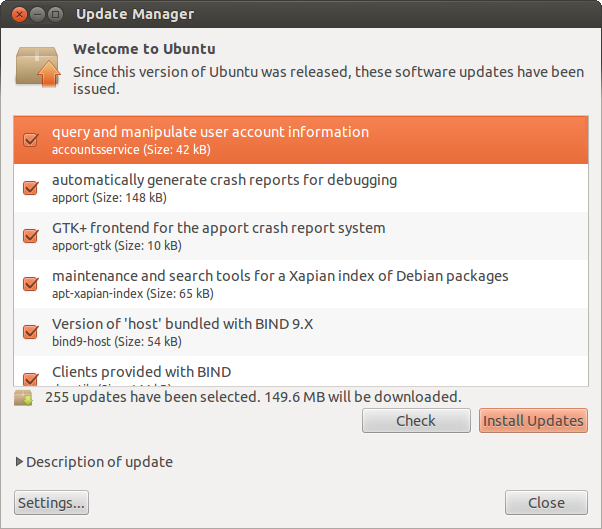 This is definitely much better than the old "compile the executable yourself" era of Linux I know well. 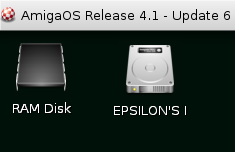 We will have a taste of this AppStore functionality on AmigaOS4 with A-Eon's upcoming AmiStore for AmigaOS4. Looking forward to it. Having done this, I copied across data from my other computers - music, mods, videos, and photos to the Ubuntu disk so I could try some stuff out on the X1000 Ubuntu install. 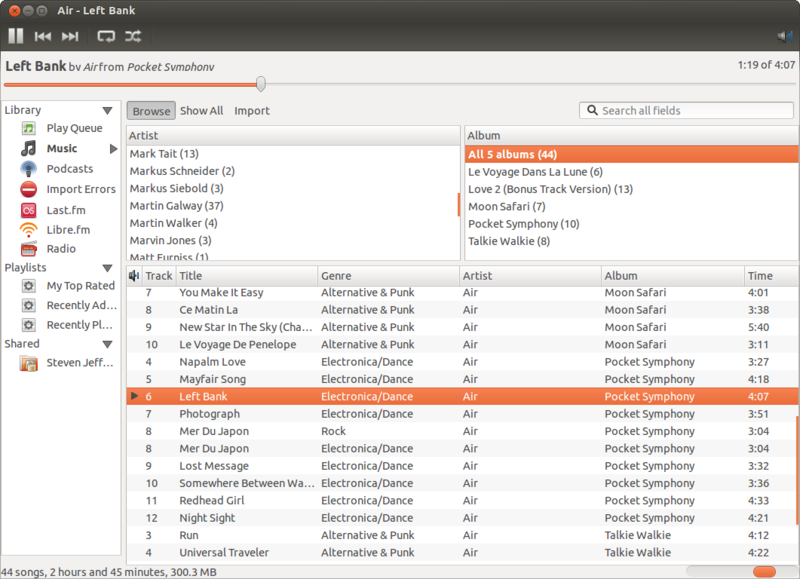 Rhythmbox is the music program in Ubuntu - I found it is necessary to turn off the UbuntuOne plugin in Rhythmbox to avoid occasional crashes in this software (a known bug), although it still seems to cause other issues when open - I will investigate it more later. 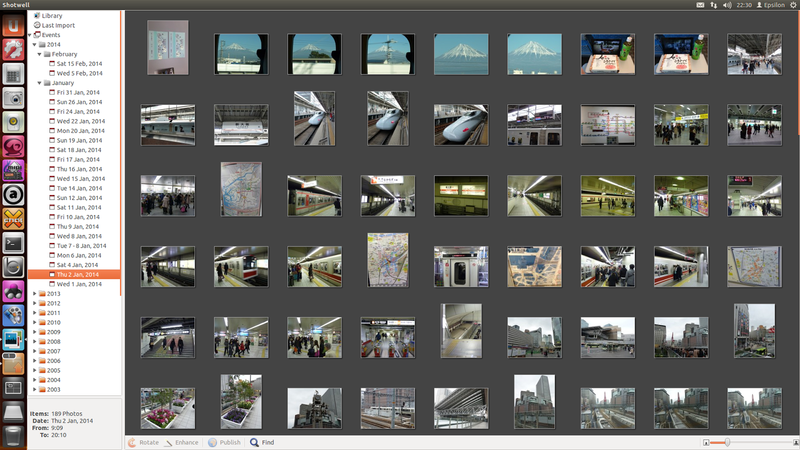 I mentioned earlier about the Ubuntu dock icon search tool to locate applications that are not on the dock. You can run them directly from the search results, and also drag them into the dock to make finding them easier. Note that too many programs in the dock makes it slower to navigate - so I suggest putting just the programs you regularly use in the dock (click to expand). 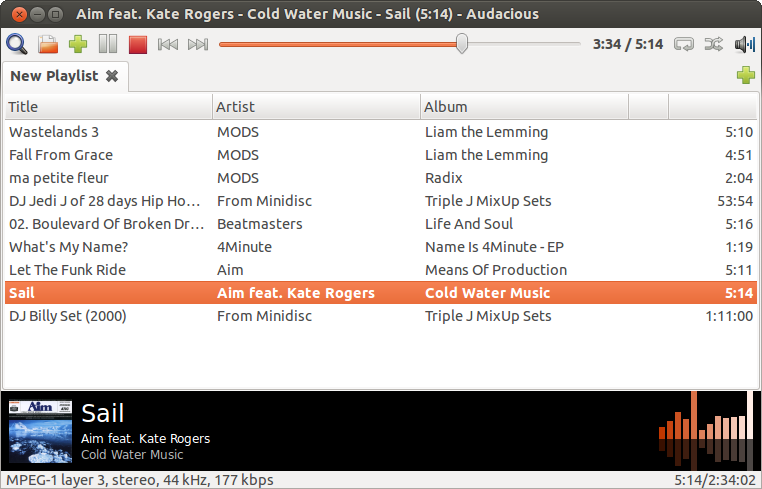 I next tried out playing videos on Ubuntu. Using VLC, SMPlayer and the default movie player I found that none can play back 720p or 1080p videos without dropping many frames and audio issues too. 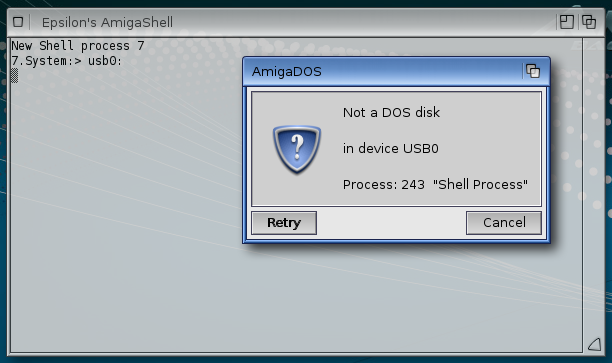 This is the same issue as AmigaOS4 has and seems to be the same cause - the incomplete video drivers. 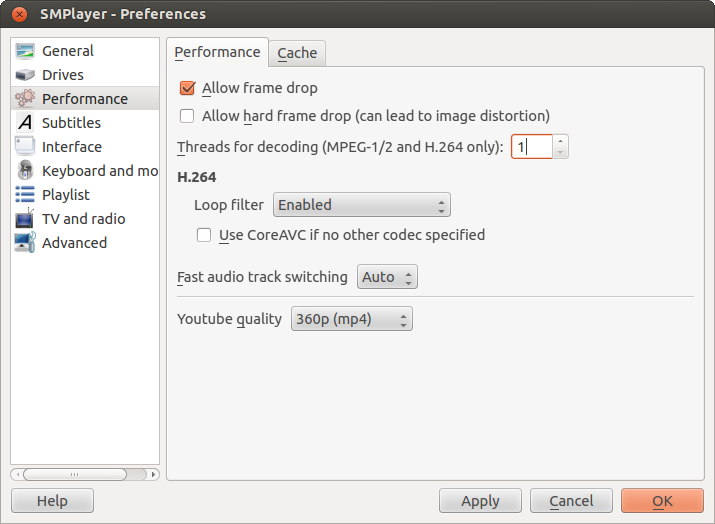 Fortunately using SMPlayer and MPlayer (download these from the Ubuntu Software Centre) you can get acceptable playback of 720p videos, but 1080p is still not able to play back well. 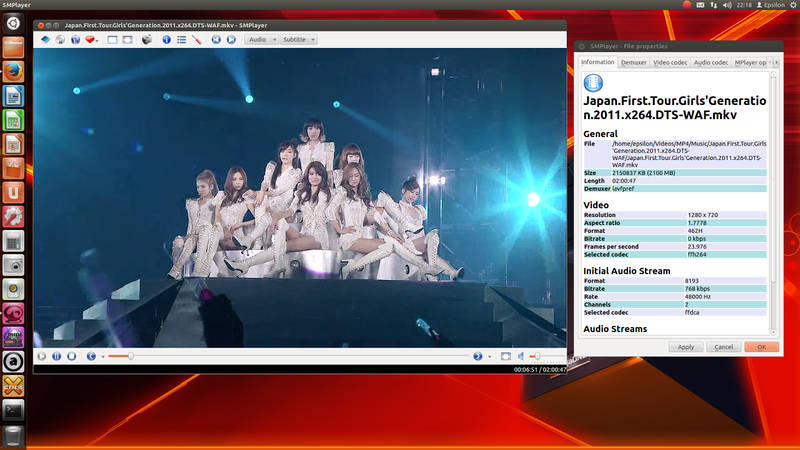 I use SM Player to watch videos under Ubuntu (it needs MPlayer installed to play the videos), but some configuration is needed to get it to play 720p videos properly - I will show what I did for this below. Although I was disappointed that 1080p videos don't play back properly yet, I expect when the video drivers are improved this should get better (same as on AmigaOS4). Speaking of similarities to AmigaOS4, Ubuntu PPC also does not have Adobe Flash, which means that YouTube cannot play back videos in Firefox. There is however a ViewTube plugin in Firefox installed by default that allows you to playback YouTube videos within the browser. Update 22/2/14: I have been advised that there is an included program called MiniTube which works much better for searching and playing YouTube videos under Ubuntu. I tested it, and for 360p videos it works very well. Higher 720p and 1080p don't work so well, but part of that is due to my ADSL internet connection which has issues streaming 1080p from the internet. Your mileage may vary! There is plenty more yet to explore with Ubuntu, and far too many applications to cover in this blog entry! Hopefully if you are interested in trying Ubuntu Linux on your X1000, this two part blog entry about it should hopefully give you some idea of what to expect. If you enjoy playing with this Ubuntu Remix 12.04 LTS build from A-Eon and want to even explore more in the world of linux on the X1000, you can also try some of the other Linux builds also released on X1000 like MintPPC, Debian, Fedora, etc, from A-Eon's download page. 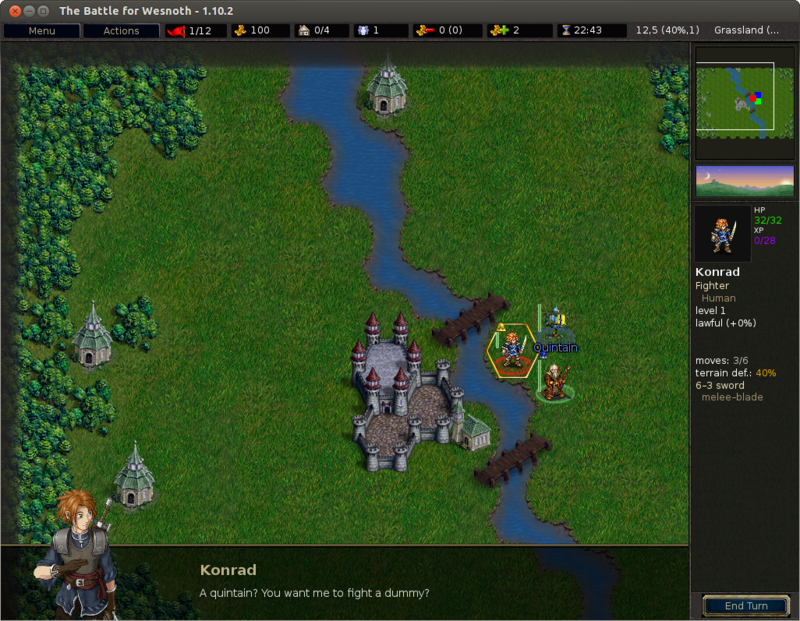 There is really a lot of active work happening right now to get various linux distributions working well on the X1000! If you don't have the Ubuntu Remix DVD yet, it is probably the easiest way to get linux onto your X1000.